From KAFBO’s intentions that understand cats’ behavior, the act of scratching & destroying home furniture by accident, and the owner who always keeps their pets behind the house because mostly, pet products are not concern about good design. 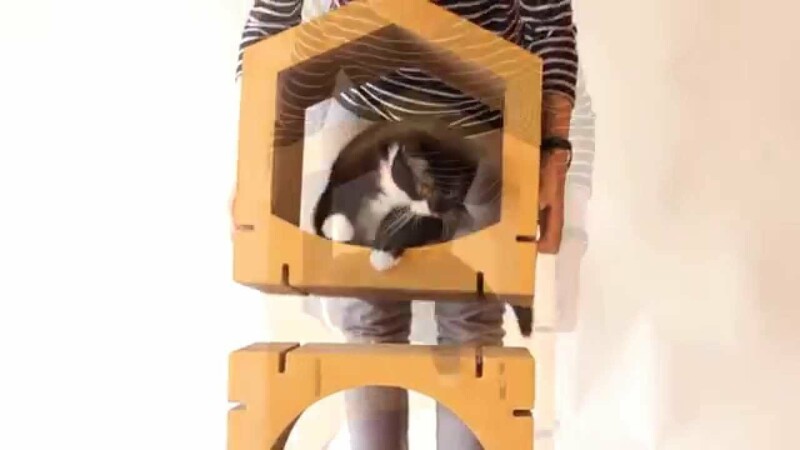 Therefore, KAFBO’s design comes to solve the problem of co-living space between owners and their beloved pets with the idea of pet house design through creative process, useful & practical, also with a choice of durable materials : eco-cardboard. Make owners and their pets spend great time living together.